There are gaping security holes in Apple’s operating systems that can be exploited through its default messaging, web browsing, or email software. For instance, hackers could grab your passwords just by sending you an infected iMessage—and all they’d need is your phone number. 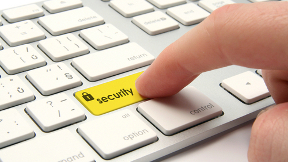 The security gaps were discovered by Tyler Bohan, a researcher with Cisco Talos, a unit of Cisco that works on security. Forbes was the first to report on the findings. The hacks strike at the heart of Apple’s mobile and desktop operating systems, exploiting the way they deal with importing and exporting images. Here’s how the attack works: A hacker creates malware that’s formatted as a TIFF file, which is just another image format like JPG or GIF. The hacker then sends it to a target using iMessage. This is especially effective because the messaging app automatically renders images on its default settings. Once the infected file is received, malicious code can be executed on the target device, giving an attacker access to the device’s memory and stored passwords. The victim wouldn’t even have had a chance to prevent it. The same attack can be delivered by email, or by making the user visit a website that contains the infected image, using Apple’s Safari browser. It gets worse. Bohan found that the security hole is present in all versions of iOS and OS X except for the very latest ones, which were published on July 18. Bohan had shared his discoveries with Apple ahead of time, and the latest versions of its OS address the vulnerabilities. That means the safe version of iOS is 9.3.3 and for OS X it’s El Capitan 10.11.6. There’s another quick fix, as security research firm Sophos points out: Turn off iMessage on your iPhone, and also disable MMS messaging. This means you’ll be limited to receiving text messages only. Image files won’t be received. The scale of the vulnerability is staggering. According to Apple, about 14% of iOS devices run iOS 8 or earlier. There are over 690 million active iOS devices, according to one estimate, which means at least 97 million devices running Apple’s mobile operating system are vulnerable to the hack. That’s not even accounting for the mobile devices that aren’t running the absolutely newest version of iOS 9, or Macs that aren’t up to date. Apple has said it has over 1 billion active devices worldwide, but doesn’t break down that figure in detail. This Apple security problem has been likened to a flaw in Android, Google’s mobile operating system, called Stagefright that was discovered last year. That security hole also relied on texting infected images, and some 950 million Android devices were exposed. It was discovered by a researcher at Zimperium zLabs in April 2015 who shared his findings with Google, which then issued an update fixing the problems. 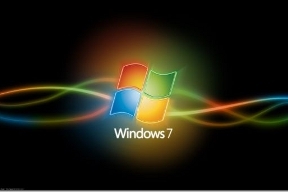 Windows 7 represents a significant improvement over previous Windows operating systems. However, if you don’t know how to use this latest version of Windows properly, you’ll miss out on a host of goodies that’ll help you work more efficiently. By mastering a few simple tricks, you’ll be able to get the most out of Windows 7. Is your operating system acting strange? From the Control Panel, click “troubleshooting” to access a series of wizards that will resolve common operating problems. This includes cleaning up systems that are slowed by too much adware and other clutter. What if you have younger members of the household who insist on installing cumbersome software to your computer? Install too much of this software, and your computer will turn into a sluggish mess. AppLocker allows you to run and install only programs with your pre-approval. For instance, you can tell AppLocker to only run programs created by reputable companies such as Microsoft. If, say, your kids try to install a program from an unknown publisher, AppLocker will block it. Windows 7 comes with its own power efficiency service. This allows you to access reams of information about how much power your laptop is consuming. This can be important if you’re working from a remote location and you’re not near a charging source. Finally, you can use a Windows 7-enabled computer as a software-based wireless router with the operating system’s Virtual Wi-Fi feature. If you enable Virtual Wi-Fi, any other Wi-Fi devices within range, including tablets and laptops, will view your computer as a new network. These devices will then be able to share your connection. A little simple maintenance now can help prevent many headaches throughout the year. Regular maintenance is the key to creating a safe, secure, productive environment, protecting your technology, and getting your greatest return on your investment. This is a customized list of tasks for monthly, quarterly, and yearly maintenance that everyone should minimally perform. At a minimum, run Disk Cleanup: You’ll find this utility on the Start Menu submenu: Start > (All) Programs > Accessories > System Tools. With less junk files on your computer you will gain back valuable disk space and your computer will run quicker as well. Start with Windows Update, and ensure that your operating system is fully up to date with all necessary patches, fixes, and updates. Do likewise for all your software, especially your antivirus, antispyware, and other security tools, visiting the vendor sites to download any and all updates and patches for your applications and utilities. Finally, check your hardware vendors’ Web sites for driver and other updates for your video card, audio system, motherboard components, etc. The end of the year is a great time to reorganize the files and folders on your hard drive. Some users like to organize first by topics, then by chronology; others do it the other way, first by year, then by topic. The organizing principle doesn’t matter as long as you end up with an organized “tree” of data files that you can traverse with ease to locate whatever files you may later need. You want to avoid the too-common syndrome where every data file on the PC ends up in an undifferentiated mass in “My Documents” or in similar, uselessly cluttered, generic folders. While you’re reorganizing your hard drive, keep an eye out for files and software that you no longer use or need. These can be moved to long-term storage (via backup; or perhaps by moving to an unused disk or partition) or you can simply delete/uninstall them from your system. Removing unused files and software saves space, avoids clutter, and can actually improve system speed and responsiveness. For example, keeping large numbers of unneeded files on the system can bog down searches and slow the indexing of the rest of the drive’s contents. Carrying unneeded software clutters the Registry and may delay system startup and shut down as unnecessary components are loaded or unloaded. Once your hard drive is as organized, cleaned, and simplified as you can make it, reorder the files for fastest access, and to make most-efficient use of the disk space. This “defragmentation” of the system’s files is best done on a regular basis, but at the very least should be done after a major cleanup. You’ll find this utility on the Start Menu submenu: Start > (All) Programs > Accessories > System Tools. Having come this far, you should backup your files in your newly organized file structure with an external USB hard drive such as the Seagate FreeAgent. You can also use the built-in backup program that comes with your operating system. This can be invoked through the menus, or by typing “backup” on the Run line. Wouldn’t it be great if you could somehow preserve your PC’s current lean, clean, fully-updated and defragged setup so that, should you ever need to in the future, you can restore your PC to its current perfected state in just minutes? Try a disk cloning product such as Acronis Backup & Recovery. Most small business owners see information technology as another expense. But what if IT could save your small business money-particularly when it comes to sales and marketing efforts? “You have to take a hard look at your processes,” says Dave Minker, president of CMIT Solutions, an IT consulting firm. “That helps you design a solution that works for you, and helps you realize greater efficiency and organization.” Can smarter IT really do that? Yes. If users took the time to learn how to build a simple database in Access that tracks customers and orders or to learn how to export data from Access or Excel into Word for a mail merge or to understanding the features of Outlook to organize time and tasks, they could save lots of time and money. “These all need an hour of effort to learn, but once they are understood, huge piles of paper and binders full of orders can be archived away and processes big and small streamlined,” he says. How much does all of this cost? Usually, nothing, since many of the products offer free trials. This can also save money on travel expenses, since virtual conferences often eliminate the need for in-person meetings. Travel and entertainment costs are typically the second- or third-biggest business expense. 5. Get rid of obsolete technology. Perhaps the only thing that’s worse than not using IT to help your business save money is trying to use obsolete technology. Take a fax machine, for example. “Get rid of it,” says Edith Yeung, who organizes the San Francisco Entrepreneur Meetup, a networking group for Bay Area entrepreneurs. Instead of using the traditional fax machine, check out eFax.com. You can save costs for faxing long distance, and you will also save money on paper and save the environment. The same thing goes for other obsolete technologies such as computer screens that use cathode ray tubes, or old software. These vintage technologies slow down your business and cost money in the form of higher energy bills. Get rid of them and it won’t just speed up your processes; it will save your company serious money. 6. Shift more of your business to the Web. Many small retailers have realized they can target incremental revenues by establishing a Web site to sell from, in addition to their brick-and-mortar store, says Les Cowie, the director of business development for Worldwide Brands, a company that online retailers directly with qualified wholesale suppliers. But why stop there? Using nothing more than a PC and a broadband connection, your small business can leverage the marketing power of the Internet. Social networking sites such as Facebook, LinkedIn and Twitter let you push sales at virtually no cost to your business. For small businesses, IT isn’t a problem. It’s a solution. By taking advantage of the technology you already have, outsourcing what you shouldn’t be doing, upgrading and rethinking the way your small business uses technology, you can harness the power of low-cost computing for your company. For more information or if you would like to see how your business can implement low cost computing to save money, please contact John Kalli at 732-780-8615. Content By: Christopher Elliott who writes about business travel and mobile computing, and publishes a weekly travel newsletter.